When you’ve just signed a new client, whether it be your first client ever or you’re working for a long list of companies, you should have an actionable list to go through as an “inspection” checklist. You’ll tailor your list to your local market after you’ve gone through it a few times, but this is a good starting list. The first step with any SEO client should be keyword research. Hopefully if you had to do client outreach to sign this client, then you already know all there is to know about their keyword research when you put together the presentation. If not, you’ll want to put together a list of keywords that will be beneficial for your client to be ranking for. Since the most common clients you’ll be working for are local businesses, this should be a somewhat straightforward process. This list only includes keywords that have enough search volume to justify optimizing the site specifically for them. If your list looks much longer with a lot more keyword variations, don’t fret. Use Keywords Everywhere, a chrome extension, to determine search volume and whether or not the keyword is important to be ranking for. If you’re in a much more difficult location with high search volume and high search competition, you may want to start by optimizing your client’s site for the more general keywords, and over time the site may or may not organically rank for the more difficult keywords. When your site has the main rankings, you can start to optimize for the more long-tail keywords (e.g. pepperoni pizza (city)) through title and description modifications, as well as building more backlinks with different anchor texts. The above example is actually a more complicated version than what many of the clients you’ll typically run into. 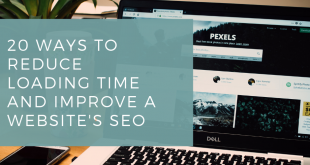 Often your site will only have to be optimized for ([niche] [city]), and if you optimized your site for other keywords it would just turn out to be a waste of time. Now that you have a proper list of keywords that you need to rank your client for, it’s time to determine what keywords you’ll need to create new content/pages for. There’s a good chance that none of your keywords are “blog keywords” where the best type of page to rank for them is a blog post, but if on the off chance there is a “blog keyword”, don’t instantly go out and write new content around that topic. If they already have blog posts on that topic, all that may be needed is a title modification. Most local businesses don’t run a blog on their site, so if they did you better be grateful! Maybe a law firm put out a blog post titled “The Process of Having a Will Drawn Up”, but no where on your list do you find this keyword. And too bad cause the keyword “how to get a will” is on your list! Not “too bad”! This is great news, just edit the title, description and url slug for your new keyword “how to get a will”, and now you can do the SEO work on it instead of making a whole new blog post. Many local businesses just use their name as the homepage for their website, but this will almost always be counter-intuitive. Unless the business’ name includes the main keyword, you should change it. Having at least a partial match of their main keyword will be of great benefit to them. For this step you’ll need an SEO tool. I personally use ahrefs, but if you have Moz, SEMRush, Majestic, or any other tool… You’ll have to make do with whatever you’ve got. Assuming your client isn’t in need of a website, and isn’t on a fresh domain, the domain will hopefully have some organic backlinks that have been built in the past years. Plug your client’s domain into your SEO tool. After you have a general idea of how many referring domains and backlinks your client already has, you’ll want to do research on your client’s top competitors and their referring domains and backlinks. If you don’t know where your client currently is at, how are you supposed to build an actionable plan to boost their rankings and grow their business? 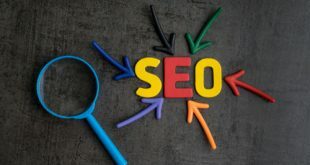 Keep in mind just because a site (either your client’s site or one of their competitors) has thousands of backlinks, doesn’t mean that they’re going to be an SEO powerhouse. If you have one really high quality backlink, that’s already better than a thousand spammy backlinks. Once you’ve determined where your client currently stands with rankings and backlinks, you’ll be able to determine what will be needed in terms of backlinks to get them from where they are, to where they want to be. When you’ve signed a new SEO client, especially as a new agency, it is a very exciting time. But for some, it can be overwhelming and a lot to take on. Today we went over the first steps you should take after signing a new web design/SEO client. 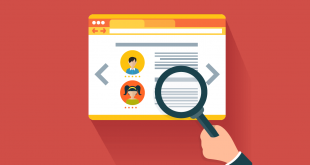 To recap, you should first determine your client’s target keywords, including their search volume. Put together a list of keywords that are important for your client to be ranking for. If they already have a website, and you’re redesigning a new website, you should determine what content on their old website will be useful to transfer over to the new website. This would include pages that would make a strong page if optimized for a certain keyword, or blog posts that are of use because they create topical relevance. Lastly, you’ll want to do your research on your client’s current SEO metrics, as well as their competitors metrics (the ones that are currently ranking #1). Now you’ll be able to put together an action plan to get your client to that coveted #1 position! This article has been provided by Airborne Digital Marketing Agency; they offer SEO Winnipeg services at affordable rates. Contact them today if you have any questions.